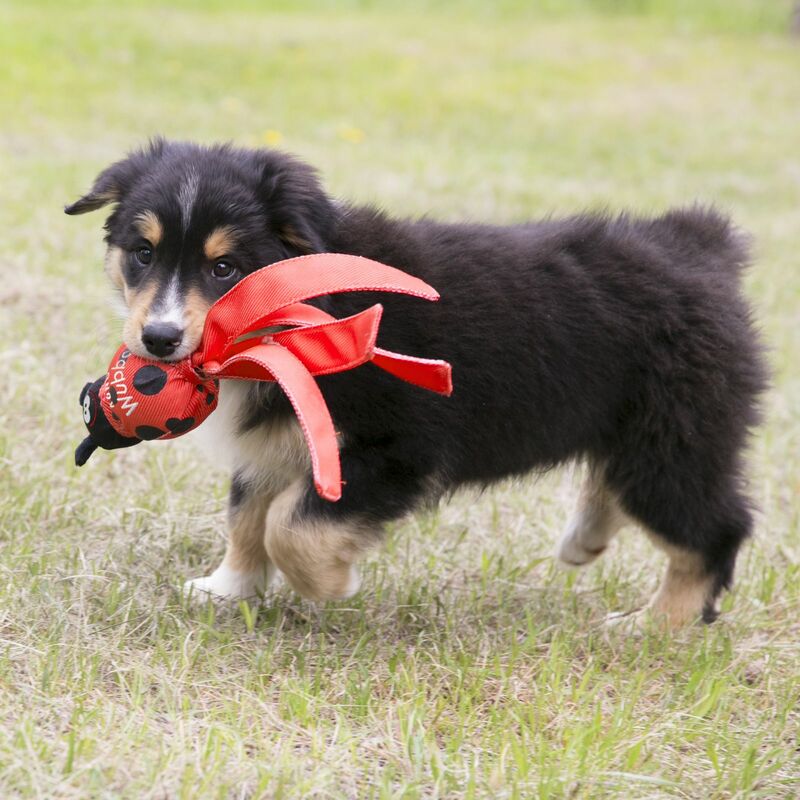 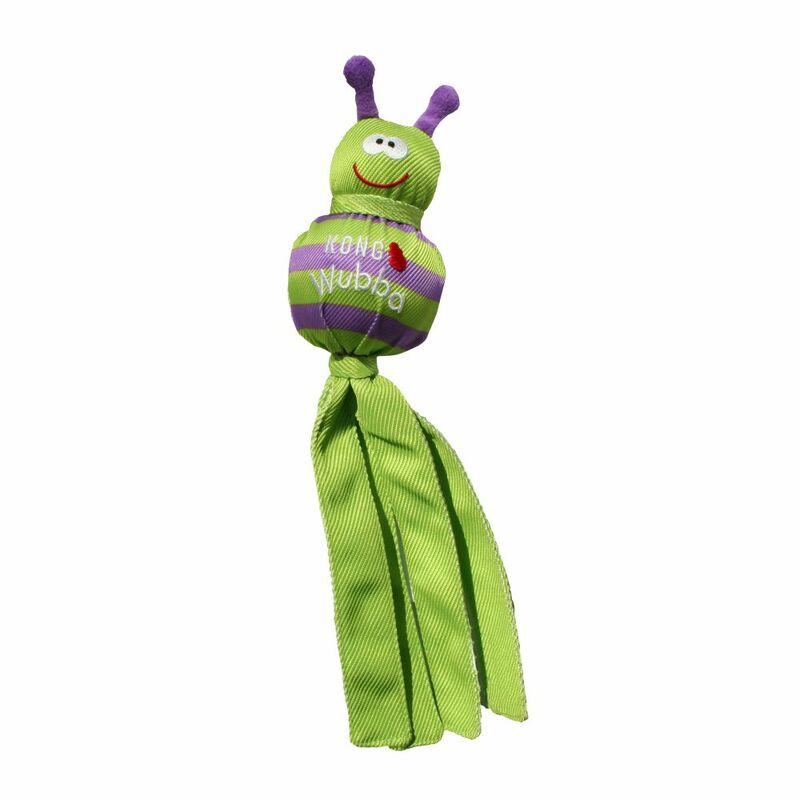 With flip-floppy tails, two hidden balls and a squeaker, the KONG Wubba Bug is a dog party with antennae. 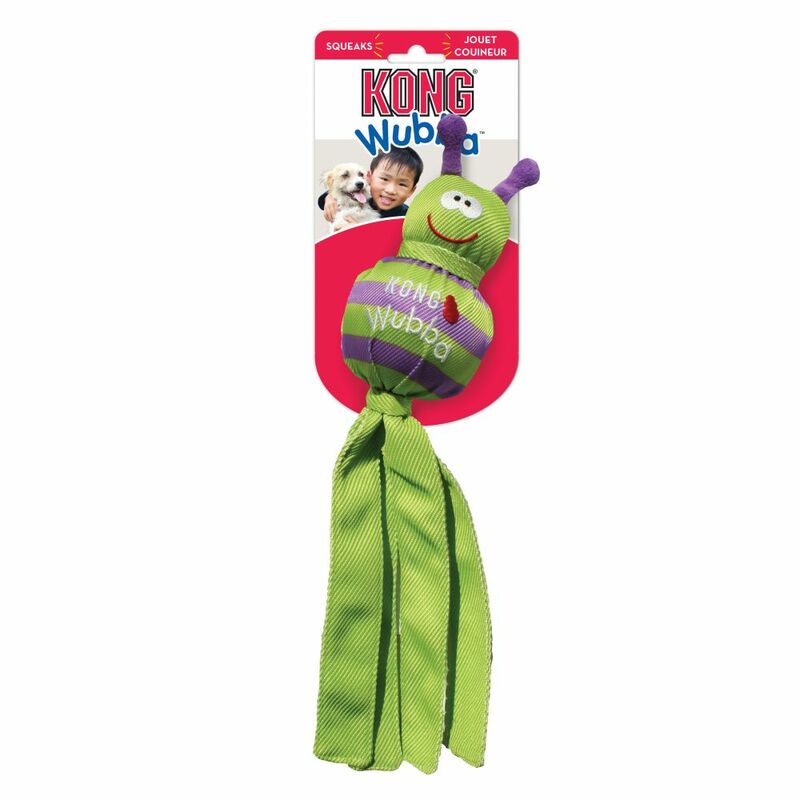 Covered in durable KONG Ballistic material, it's made to shake, flail and squeak, sparking your pup's natural instincts. 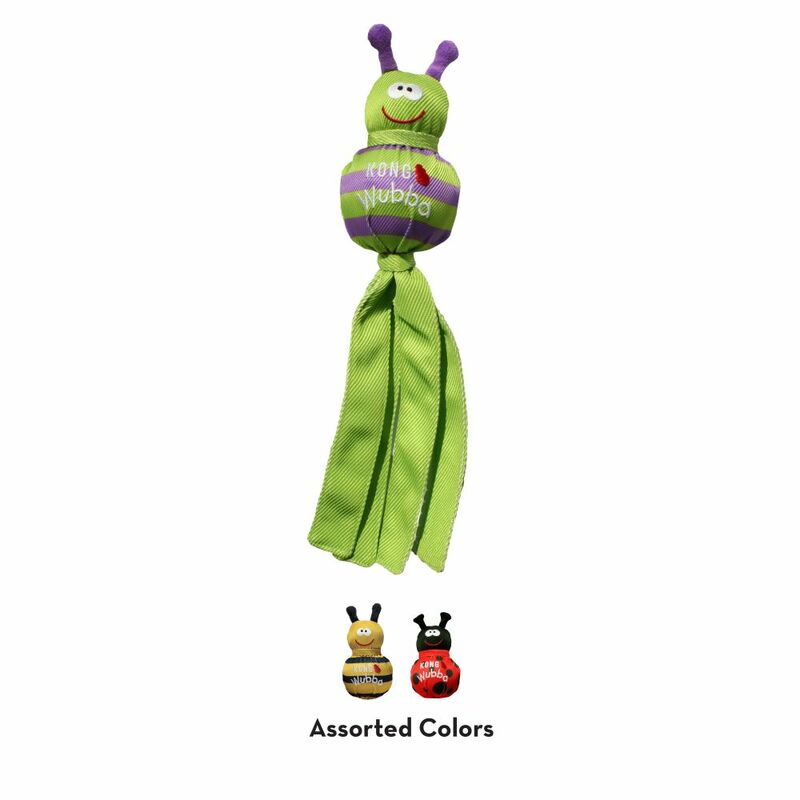 These Bugs have no wings, but they're born to fly in epicames of fetch, keeping dogs active and engaged with pet parents.